It’s a damn shame it took so long for this recording to get a release. 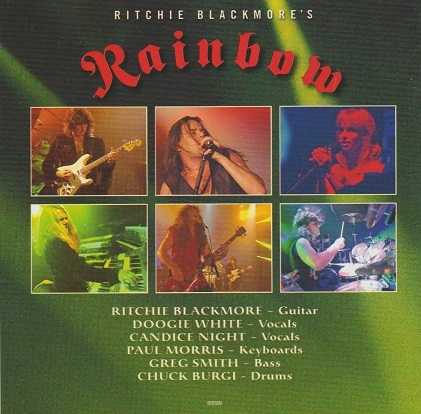 Recorded in 1995, this CD release was a German TV broadcast, and is the only live Rainbow album to feature singer Doogie White. The only difference from the recent Stranger In Us All album lineup is the drum seat. John O’Reilly was jettisoned in favour of Chuck Burgi who was with Rainbow from 1983 to 1984. There are some clear mixing problems on some tracks, notably the opener “Spotlight Kid”. The backing vocals sound as if they are from another song, or audio leakage from another broadcast. There’s little else wrong, aside from those things that happen in a real live setting. In some respects this lineup of Rainbow was rather faceless, but Doogie White was an entertaining and versatile frontman. 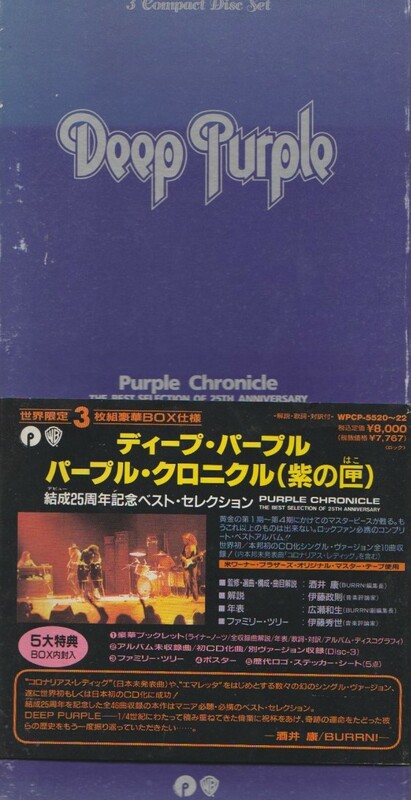 He’s comfortable in all eras of Rainbow, and he does them all, plus two eras of Deep Purple. That means Doogie White not only sings his own material (seven tracks from Stranger In Us All) but also must sing the songs of Ian Gillan (“Black Night “, “Smoke on the Water” and “Perfect Strangers”), David Coverdale (“Burn”), Ronnie James Dio (“Man on the Silver Mountain”, “Long Live Rock ‘N’ Roll”, “Temple of the King”), Graham Bonnet (“Since You’ve Been Gone”) and Joe Lynn Turner (“Spotlight Kid”). White even does a classic Ian Gillian singalong in “Black Night”, imitating Ian’s “Doo doo doo doo doop!”, before breaking into a traditional drinking song with improvised lyrics. What about Ritchie? Brilliant as ever, and even though he is notorious for…not enjoying…being filmed, it doesn’t seem to inhibit his performance here. Extended solo sections sound like joy. Perhaps having his true love on stage with him, Candice Night on backing vocals, soothed the savage Man in Black. 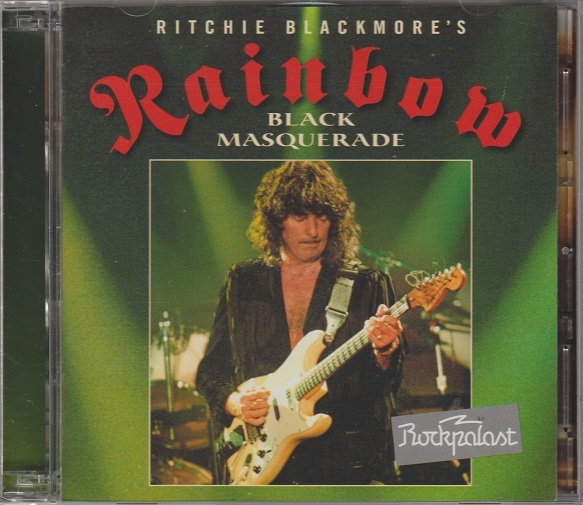 Regardless he sounds as flawlessly and quintessentially “Ritchie Blackmore” as ever. There’s only one. Live albums from obscure, buried periods like this often yield solid hardened gems. “Hunting Humans” and “Ariel” are better live than they were on album. Things are looser and livelier. “Wolf to the Moon” has guitar and keyboard interplay that takes it further than it went on album. The most intriguing track is the Dio-era classic “Temple of the King”. As Doogie tells it, when the band were recording in America, they’d often pop out for a drink. Sometimes they’d play music in bars and “Temple of the King” came from those times. 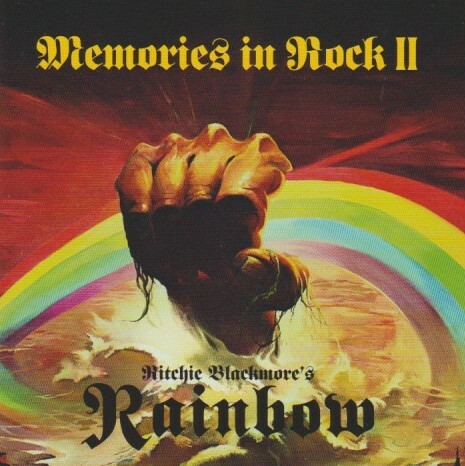 Given that there is so much bloody live Rainbow out there (with another brand new live album just announced! ), Black Masquerade can understandably go fairly low on your want lists. If you see it though, don’t hesitate.